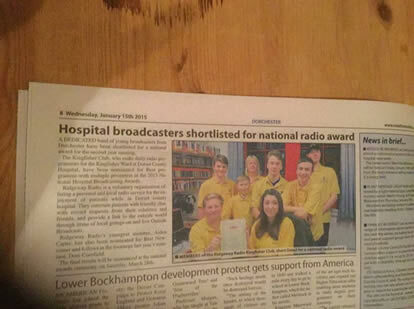 Once again we are pleased to announce that our young presenters were nominated as finalists in the Hospital Broadcasting Association Awards 2015. 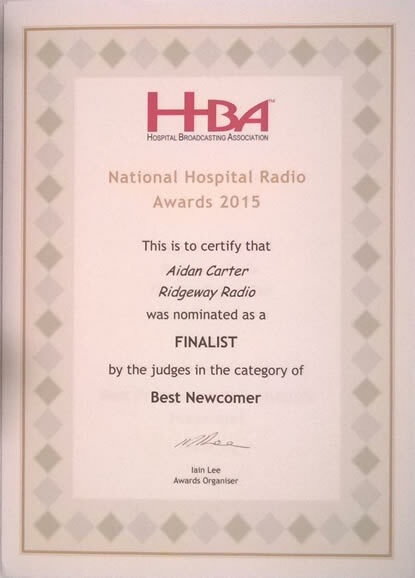 Kingfisher Club presenter Aidan Carter received a nomination in the Best Newcomer category and the Kingfisher Club team nominated for Best Programme With Multiple Presenters. 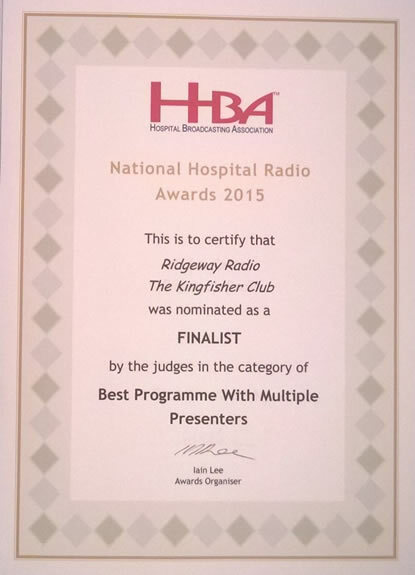 Unfortunately we were unsuccessful this year but in 2014 the Kingfisher Club team were placed in the top 10 for 'Best Programme with Multiple Presenters' and Dom Cornfield won Bronze for 'Best Newcomer'. 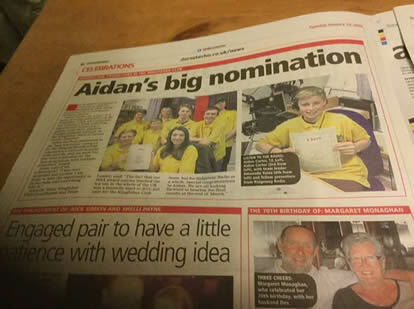 The photos show their respective nomination certificates and how the news was reported in the Dorset Echo. 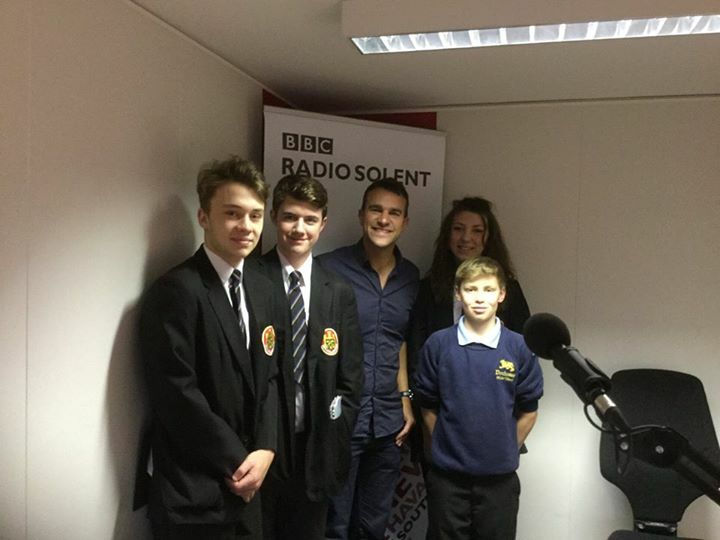 The team were also interviewed on our local BBC station, Radio Solent, by Steve Harris.